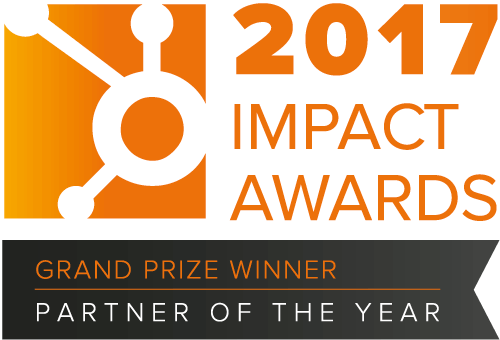 For Nordcloud, inbound was a clear choice in terms of a marketing strategy. 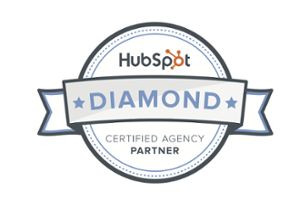 See how website redesign works with HubSpot. Nordcloud is a European leader in cloud services and their focus is on helping organisations gain the maximum benefits of the cloud. They do this by migrating, automating, and optimising their customers’ IT infrastructures onto the leading Public Cloud platforms, such as Amazon Web Services, Microsoft Azure, and the Google Cloud Platform. Founded in 2011, Nordcloud has grown rapidly across the European market from its Helsinki headquarters and now has additional offices in Stockholm, Oslo, Malmo, London, Munich, and Amsterdam. 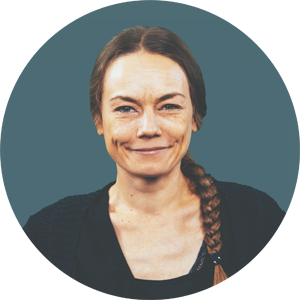 Sales Communications is a Finnish inbound specialist and HubSpot Platinum Partner based in Helsinki. We’re an agile digital marketing partner helping our customers gain success by transforming their marketing and sales processes through inbound marketing, SEO, social media, content marketing, web design, and HubSpot. This is the story of how we worked together with Nordcloud’s two-person marketing team to redesign their website and give a strong wind to their Europe-wide cloud revolution. Watch the video and read the case to discover how the revolution began! Inbound was a clear choice in terms of a marketing strategy that would help Nordcloud achieve its ambitious growth goals, but their website was in need of a refresh. Having moved to the HubSpot platform some six months earlier, together we had built a light-version of their website to gain insight into what worked (and what didn’t), alongside what resonated well with Nordcloud’s buyer personas; by following the principles of Growth-Driven Design, we were able to minimise risk by not going ‘all-in’ too early. Our starting point was to create a website wireframe which acted as a blueprint of how visitors would interact and journey across the site to find the content they were looking for. To align with the Inbound Methodology, we created top-, middle-, and bottom-of-the-funnel content that went from looking at why you should move to the cloud right through to booking a meeting with a Nordcloud Sales Manager. Nordcloud’s five service lines are designed to transition customers from initial strategy and cloud migration to the automation and management of their infrastructures, so when it came to creating the section about their services we mirrored this process as you’re invited to progress through each step of the journey. On each service line page we promoted relevant content to drive a visitor to lead conversion, and as a general rule we added a conversion point to each page so visitors always had the option to get in touch with Nordcloud no matter where they were on the site. Of the five service lines, there was one that posed a slightly more complex challenge; Training. Nordcloud is an Authorized Training Partner for Amazon Web Services in the Nordic countries, and their website is one of the main channels for registration. Even though the financial transaction wouldn’t occur within the website, it required design elements from eCommerce as we needed to build a platform where customers could book their place on a course. We did this by building a simple overview to the available courses where visitors could further explore those that interested them. We combined this with a calendar matrix that allowed visitors to view courses by city or topic, which would make things as simple as possible. Alongside other key content such as Cases, Careers, and the Blog, we chose to create a Home page that acted as a directory, helping visitors find relevant content for their needs. To further maximise this effect we utilised Smart Content based on IP to present visitors with relevant local content, such as upcoming events or news, which allowed local country teams to tailor the website to their own needs. Given Nordcloud is operating in multiple European countries, this was one valuable feature that allowed them to deliver a group-wide website with locally relevant content. And from a web development perspective, we had to build a website that carefully balanced customisation with ease of use. This would allow us to create a truly unique website that would attract and convert visitors, but at the same time would allow the Nordcloud team to easily create new content and iterate the overall website going forward. 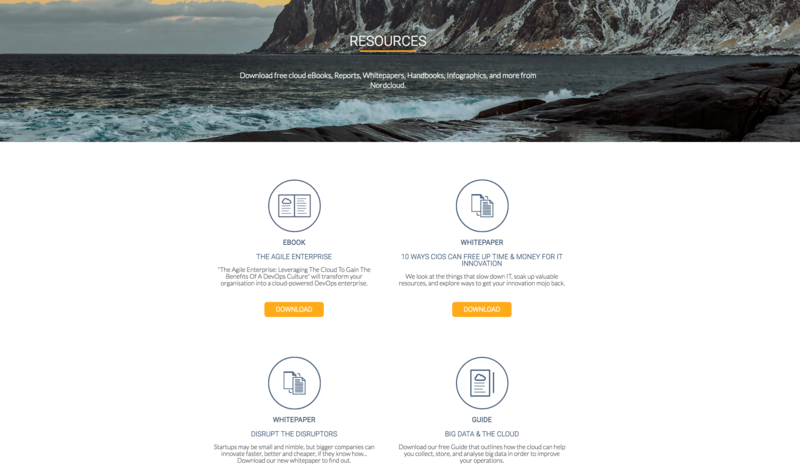 From an aesthetic perspective, the existing Nordcloud website came across as somewhat bland and also fairly generic when compared to other IT service providers. If you ran a search for ‘cloud computing’ on any stock photography platform, then you’d be hit with a collection of images that might have been suitable in a 90’s textbook on IT Innovation. Might! But during one of our early brainstorming sessions in Helsinki, we realised we were literally sitting on the answer to our visual conundrum; The Nordics. Nordcloud is a Nordic company with its roots in Northern Europe. The Nordics also have a solid reputation when it comes to technology and would reinforce feelings of trust, safety, and confidence, all of which are important when moving companies to the cloud. And so we rebuilt the Nordcloud brand and visual identity around The Nordics and Scandinavia. We found stunning images of cloudy Nordic landscapes and began sketching mock-ups of various pages. We utilised a lot of white space to give the website a clean and uncluttered feeling that would help visitors process and take-on what can be fairly heavy technical content. In terms of a colour palette we selected an earthy dark blue and a professional grey as our primary colours, alongside a secondary pop colour of orange, which would help emphasise CTAs and conversion points. As our designs evolved we were able to create a visually stunning website that would draw in the visitor. For our Nordic visitors, it would reinforce the concept of home and help develop a bond between them and Nordcloud as a potential local partner. For those visitors from continental Europe, it would really emphasise the Nordic heritage of the company and leverage the many positives that are associated with the region. The deeper we explored the industry, the more we realised that a movement is taking place; companies are migrating from legacy IT to the cloud. It was this observation that led us to define it as a revolution. And not just any revolution, but ‘The Cloud Revolution’. 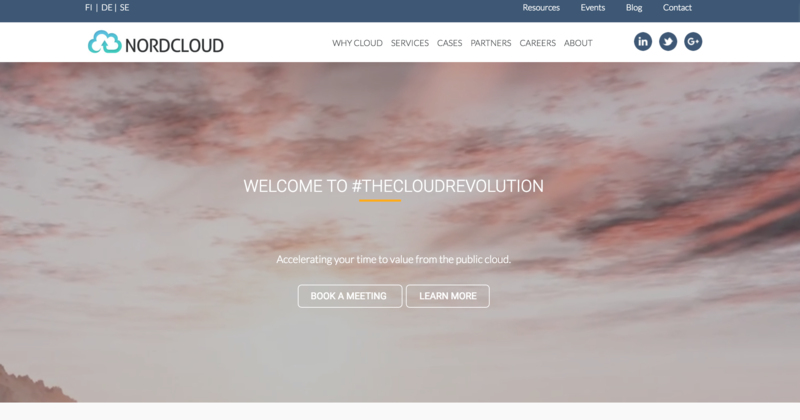 This became a key part of the brand’s messaging and the website headline, Welcome To The Cloud Revolution, serves as a rallying cry to its visitors. This was then transitioned into social media where the hashtag #TheCloudRevolution is at the core of Nordcloud’s social identity. After launch, there was a dramatic increase in website performance. Year-over-year traffic increased +54.50% and lead generation increased +95.37%. The first month after launch also set new Nordcloud records for total number of visits, leads, and website generated training revenue. When looking at the effect the website had on conversion rates, the six months after launch saw a +48.93% increase when compared to the previous half-year period. Since launching the website, around 80% of all traffic and leads generated have been from Nordcloud’s seven key markets. The refreshed website provides Nordcloud with a platform to effectively run their inbound activities whilst delivering further value to their visitors, contacts, and customers. 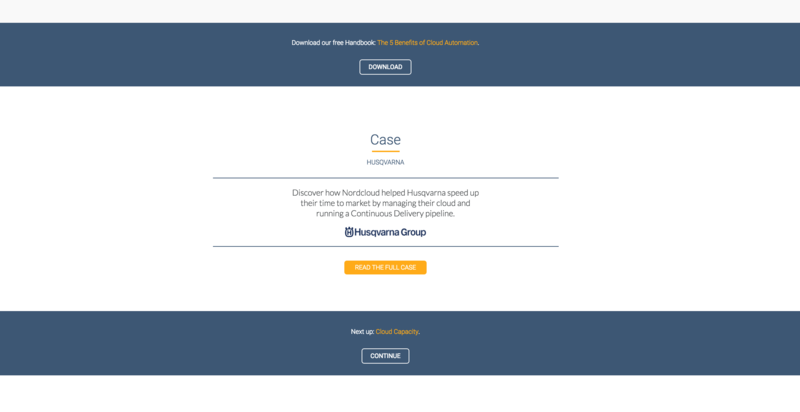 One example was an interactive content campaign called Are You A Cloud Ninja?, which helped Nordcloud conduct market research, test & develop their buyer personas, and increase inbound leads by 47%. Nordcloud also rebuilt their lead scoring criteria and created a set of workflows that would handover marketing qualified leads to the relevant local sales team. Combined, these initiatives have helped grow Nordcloud’s business from their 2015 revenue of €16.1 mill to a 2016 forecast close to €30 mill (as of Q3 2016). Also, in the three months after launching the new website, Nordcloud Helsinki had to rent additional office space since there weren’t enough desks to accommodate their growing team. In addition to the hard numbers, Nordcloud received a lot of positive feedback from across the European cloud community about their new website and it truly helped them establish a clear identity within the market. Looking forward, Nordcloud now has a solid foundation upon which they can continuously improve and develop their website. The cloud industry is moving at a rapid pace and things can change quite suddenly, so this lean and agile approach will allow Nordcloud to adapt and iterate their website as required. 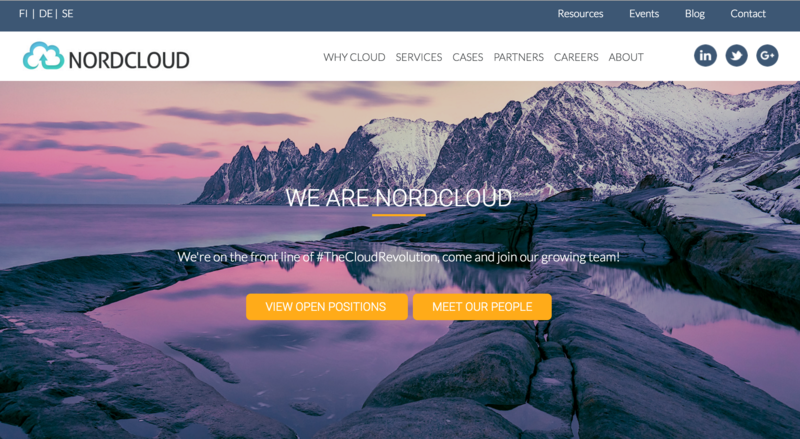 The Cloud Revolution is just beginning, and Nordcloud — and their website — are right on the front line.